Imagine finishing your basement only once--and having it stay warm, beautiful, and healthy for years and years to come. Keith Trembley Home Solutions, formerly known as Keith Trembley Builders, is your locally owned and operated Total Basement Finishing contractor in Maine. We have years of experience working in basements and homes, providing homeowners with beautiful, functional, healthy living spaces. In addition to basement remodeling, we also provide complete mold remediation services, conducted by certified professionals. Contact us today to setup a free basement design consultation! Looking for a solution to your mold problem? We offer no-cost estimates for mold removal. With the Total Basement Finishing System, you have that lifelong security. With products developed uniquely for a damp, basement environment, Total Basement Finishing is the way to finish your basement for life. Our system includes a 50-year basement wall warranty, a 30-year ceiling tile warranty, and a wide variety of waterproof floorings. 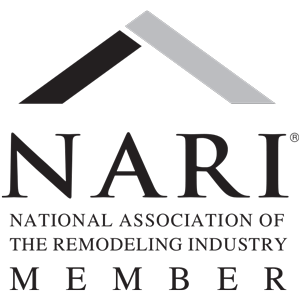 And we have the 30+ years of remodeling experience needed to upgrade your home properly. We've previously worked on man caves, children's play rooms, bathrooms, kitchens, themed basements, movie rooms, home office, guest rooms, and more. Don't know where to start? Browse our website for design ideas and photos of our basement remodeling projects. Click to read more about why more homeowners choose the Total Basement Finishing System. Our design professionals will work with you to make your basement design ideas a reality! Call 1-207-827-4205 for a no-obligation free quote today! If you are planning on finishing your basement, and have had water damage in the past, we can find and remove mold before installing our moisture-proof basement finishing solutions. We provide safe, professional mold remediation services, including mold testing, removal of mold-damaged materials, and dehumidification and moisture control. We can solve any mold problem in your basement or throughout your home! Contact us today for an in-home inspection & free quote! In operation since 1980, we proudly serve Bangor, Brewer, Augusta and the surrounding areas in Brewer, Bangor, Augusta, Ellsworth, Skowhegan, Old Town, Bernard, Orono, Penobscot, Birch Harbor, Bar Harbor, Troy, Veazie, Waterville, Arundel, Millinocket, Stetson and surrounding Maine areas.